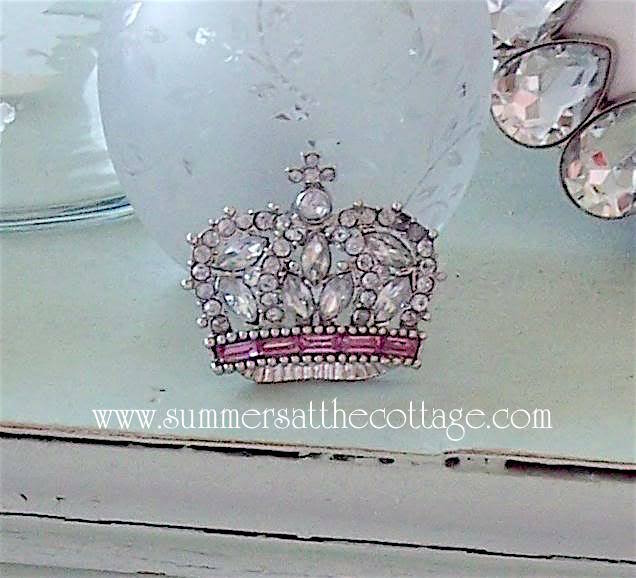 A rare Rachel Ashwell Simply Shabby Chic crown brooch pin with rhinestones and pink jewel. This brooch pin is so iconic of the Shabby Chic collections and shines and sparkles in the light. 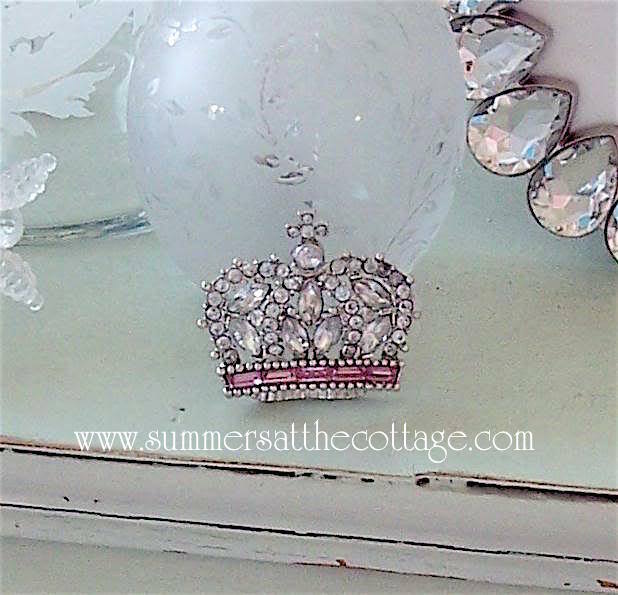 This brooch is shown below on a vintage painted cottage table with etched glass perfume bottles and jeweled picture frames and is beautiful displayed this way. 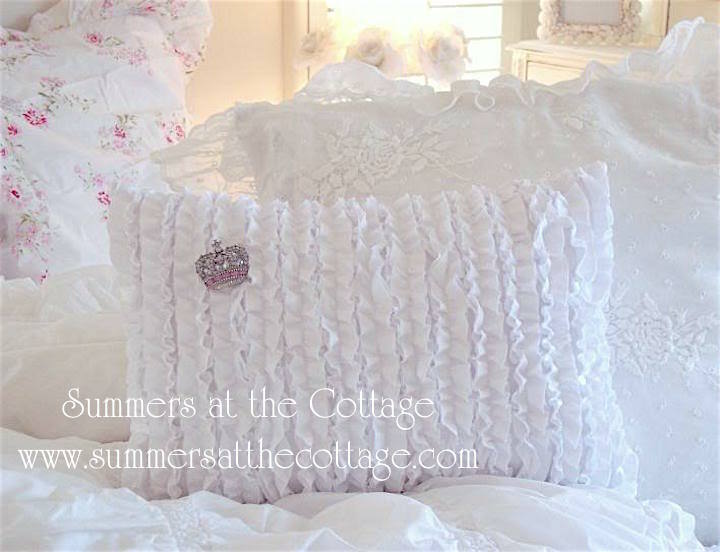 It is also shown attached to a white ruffled pillow (pillow not included) and is also wonderful to wear as a brooch on your favorite jacket or blouse! Measures approximately 2 inches wide and almost 2 inches tall.